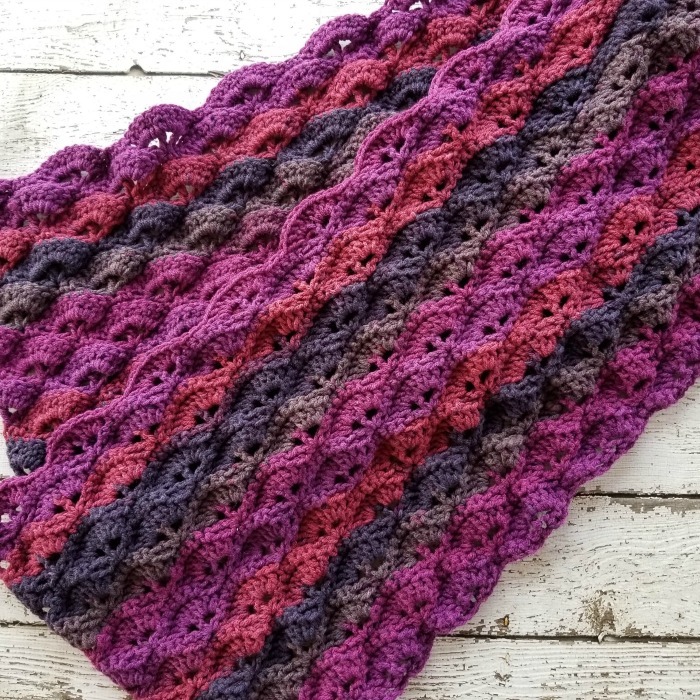 The Berry Crochet Wrap Pattern is a feminine and pretty accessory. 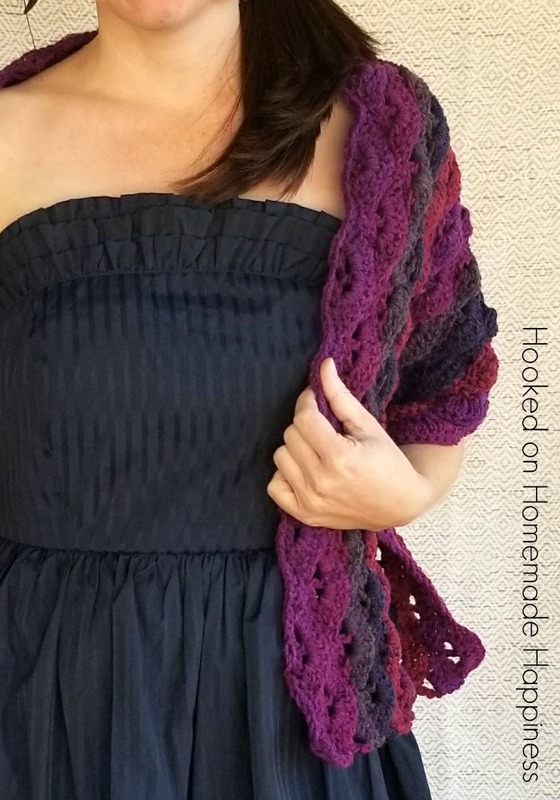 I think it works perfectly over a dress for date night! I got this dress from Eek’s Attic! 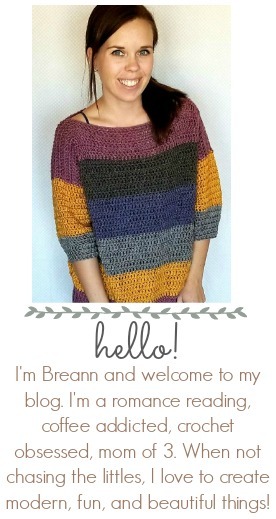 She sells clothing and accessories for women of all shapes, sizes, and styles at great prices. The earrings are from Eek’s Attic, too. If you were to look in my closet a lot of my clothes are purchased there. Clothes shopping in my PJs – what’s not to love? This pattern looks a little daunting, but once you get the hang of the repeat rows it’s easier than you think. 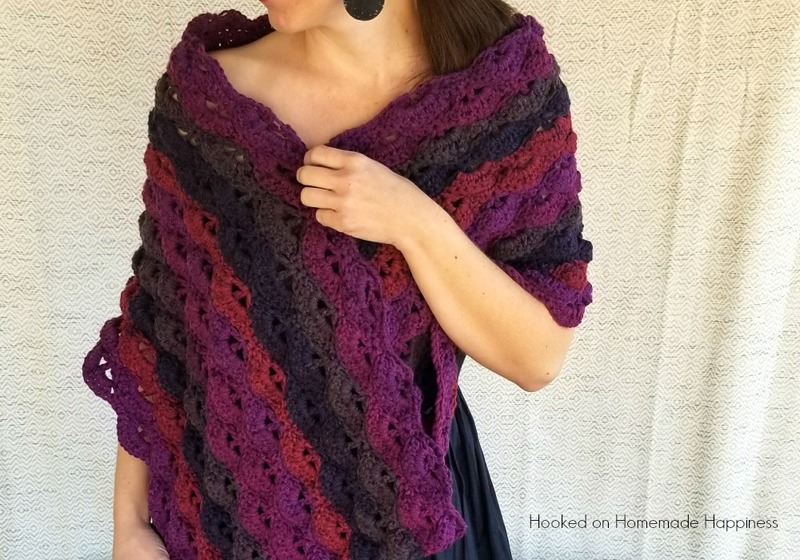 I used 1 skein of Caron Big Cakes for this wrap and it was the perfect size for a small accessory. The pattern can easily be adjusted to be made bigger or smaller. wwas wondering if row 2 could be written out a little clearer?? Hi Row 1 ends with (dc, ch 2, dc) in last ch. Hope this helps! Row 1 is correct, but the directions for Row 3 do not work as stated. I have taken it apart and redone it three times to no avail. You’re right! I just updated row 2. It should end with a dc in the turning ch. So sorry!!! But that means that Row 3 only has 5 stitches at the end, not 6.